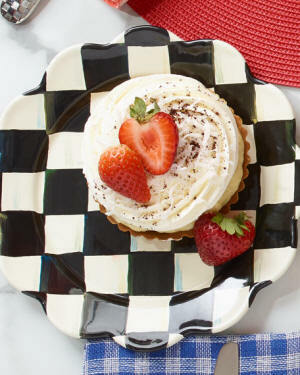 Casual dinnerware to make every meal a celebration. With a truly authentic handmade feel, signature Farmhouse Pottery design, and timeless elegance, these essential pieces remain favorite staples year after year. Includes a dinner plate, side plate, silo mug and windrow bowl. A modern spin on a classic style, this versatile vessel is designed to be held closely and comfortably, making homemade soup or hearty oatmeal that much cozier. With a truly authentic handmade feel, signature Farmhouse Pottery design, and timeless elegance, these essential pieces remain favorite staples year after year. Includes a dinner plate, side plate, silo bowl and silo mug. Well-loved by all, this mug is wheel-thrown in Vermont and crafted from durable American stoneware. This set of four wooden bowls offer unique, tactile appeal and make a true farm-to-table statement. Each piece is hand-carved from hearty New England ash and finished in Farmhouse Pottery’s Vermont workshop. Hand-carved from hearty New England Ash and finished in Farmhouse Pottery’s Vermont workshop, these beautiful plates bring an authentic, organic feel to any tabletop. Make cheese and crackers, salad, or dessert extra special with this touch of New England charm. Plates sold individually. 24K gold-rimmed minimalist design. Stoneware. Dishwasher-safe Bold gold-tone bands light up the dramatic darkness of the Godinger Golden Onyx dinnerware collection to set your table with stunning style. Sleek simplicity meets bold gold-tone banding to create a handsome tablescape with the Godinger Terre D'Or Dinnerware Collection. Sets of four. Lead crystal. Dishwasher safe. Marbled design with 24K gold and multicolored accents. Stoneware. 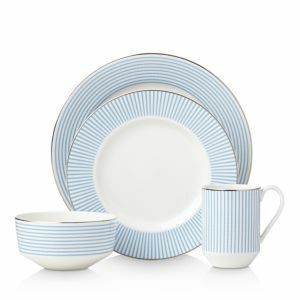 Dishwasher-safe 16-piece dinnerware set. Nonleaded crystal. 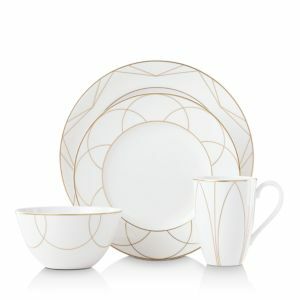 Inspired by our Purple Label Menswear linen pinstripe suit with deco gold RL monogram, this dinnerware suite screams classic RL, bringing a tailored sensibility to the table with 24-karat gold details Floral pattern inspired by a hand-painted silk garment. Porcelain dinner plate. Hand-painted 24-kt. gold rim. Inspired by the finale gown Ralph Lauren the 2017 Women's collection runway show. This houndstooth pattern is a classic RL staple, featured throughout our various product categories. Trimmed with golden accents, our Hutchinson Collection is crafted from refined porcelain and designed with a leopard motif. 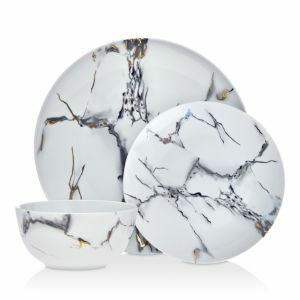 Give your table a bold pop of pattern with this zebra-print porcelain collection. Each style features a large-scale motif that will add safari-inspired elegance to everyday meals and weekend entertaining Trimmed with gold accents, our Carolyn Collection is crafted from refined porcelain and designed with an exotic feather motif. 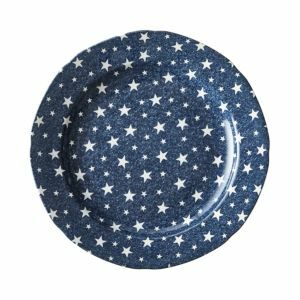 Dine amongst the stars with Ralph Lauren's earthenware set—serving up chic, celestial vibes at any table. 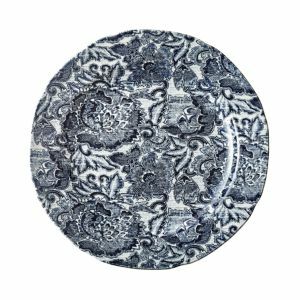 This fine porcelain plate is hand-painted with matte and polished bands of platinum, and will effortlessly complement our timeless dinnerware patterns. Inspired by the traditions of artisanal British pottery, Ralph Lauren's intricate peony-patterned dinnerware graces any table with vintage charm. Inspired by a woven silver cuff from our jewelry collection, this Limoges porcelain plate was crafted exclusively for Ralph Lauren by the French artisans of Bernardaud, a family-owned fine china manufacturer since 1863 Inspired by the guilloché pattern of our Slim Classique watch collection, this Limoges porcelain dinnerware was crafted exclusively for Ralph Lauren by the French artisans of Bernardaud, a family-owned fine china manufacturer since 1863. Dishwasher and microwave safe. Made in France. 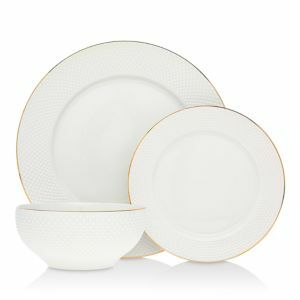 Crafted from fine bone china, the Ralph Lauren Vivienne dinnerware collection features a bridal-inspired design with natural shagreen textures that will bring an elegant look to any table setting Designed with an elegant horn-inspired pattern, the enchanting Gwyneth collection is crafted from beautiful bone china and finished with a glimmering painted platinum trim. Handmade, hand-painted majolica plate. Dishwasher, microwave, and oven safe. Made in the USA Handmade, hand-glazed terra cotta dinnerware Handcrafted enamelware. Decorated with hand-applied botanical transfers. Garland Thistle & Bee dinner plate. 10"Dia. Porcelain with hand-applied transfer decoration and goldtone detail. Hand wash. Made in Portugal. The Bride Thistle & Bee salad plate. 8.25"Dia. Porcelain with hand-applied transfer decoration and goldtone detail. Hand wash. Made in Portugal. Ribbon Thistle & Bee dinner plate. 10"Dia. Porcelain with hand-applied transfer decoration and goldtone detail. Hand wash. Made in Portugal. Porcelain with hand-applied transfer decoration and goldtone detail. Hand wash. Made in Portugal. Thistle & Bee serving bowl. 9"Dia. x 4"T; holds 64 ounces. Porcelain with hand-applied transfer decoration and goldtone detail. Dinnerware of hand-glazed, heavy-gauge steel. Hand-painted Courtly Check decoration. Rolled, scalloped edge. Charger plate has a heavy-gauge, hand-glazed steel underbody. 11.75"Dia. Hand-painted Courtly Check design Rolled, scalloped edge. Salad/dessert plate has hand-glazed, heavy-gauge steel underbody. 7.75"Dia. Hand-painted Courtly Check decoration. Rolled, scalloped edge. 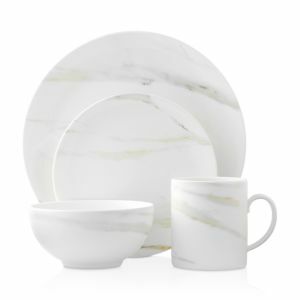 Carved, folded grosgrain detailing along with black trim and a contrasting white finish speak of a delightful fusion of classic elegance and chic cosmopolitan style for your table on the York Avenue Dinnerware Collection by kate spade new york. 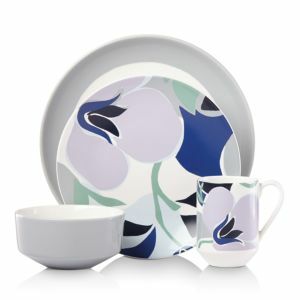 This 12-piece scatter dot dinnerware set from kate spade new york gives you everything you need to add fun to any meal. The service for four is made of durable stoneware that's dishwasher and microwave safe. Velvet skies filled with glittering stars. The cacophony of crickets, your very own symphony. The whimsical pattern of dragonflies and ladybugs decorating June Lane dinnerware makes “dinner at eight” a magical experience. 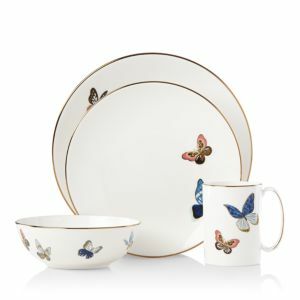 Kate Spade's Oxford Place collection puts a modern twist on white bone china with its 24-karat gold accents. An instant classic from kate spade new york, the Gardner Street Platinum dinnerware collection is the definition of contemporary elegance. Stems of platinum foliage flourish on fine white bone china, creating a stylized two-tone floral motif to freshen up your formal table. 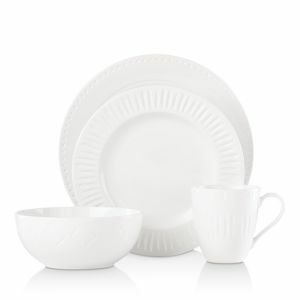 There's no classier canvas for your favorite recipes than the kate spade Belle Boulevard dinnerware collection. Featuring a distinctive platinum band and whimsical bow design on the finest white china, its easy sophistication makes every meal a work of art. Set the table with poise and purpose. 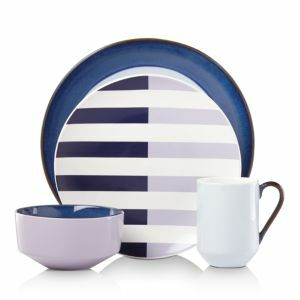 The Library Lane dinnerware collection from kate spade new york features zesty color combinations that appeal to your inner artist. With lustrous gold, platinum and black trim on fine bone china, Sonora Knot dinnerware offers a fresh take on traditional finery. A perfect choice for any occasion from kate spade new york.